Hi Leo here again to bring you the next in the new series of weekly challenges for January. We're now on to week four. If you need to catch up with the previous three weeks you can see week one here week two here and week three here. In front of me I have a box of sweeties. Inside the box I've mixed in tokens, each with a different challenging element for you to use in creating your finished project. For each new week I'll pick out five tokens. 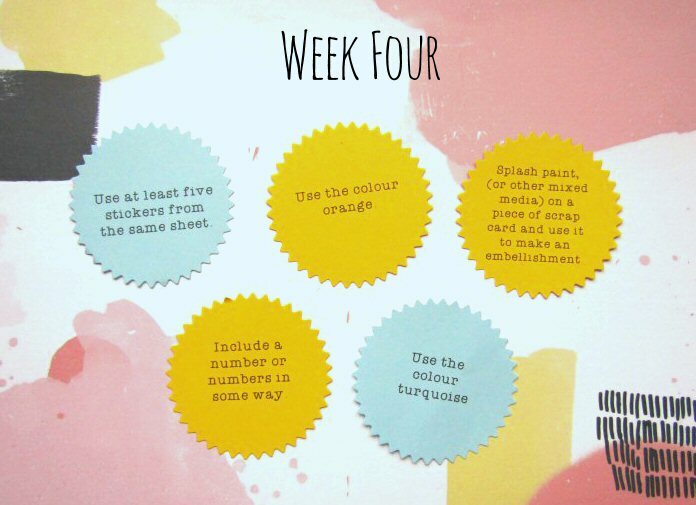 You'll need to use all five prompts on that week's challenge layout. Once each token has been picked out I won't put them back in the sweetie box so we won't get any duplicate challenges. You can complete the weekly challenges in any order. I'll post a new one up every week until 29th January. Each new challenge will be posted here on the blog and also in the Facebook Group for you to follow along with. Complete all the Pick and Mix weekly challenges to be eligible for an extra goody in your next kit box! The closing date to complete all four of your Pick and Mix challenge projects will be Tuesday 5th February 2019. All projects must be new projects made specifically for this challenge. You can use any stash you choose. Ready to see the third challenge? Use at least five stickers from the same sheet. Splash paint, (or other mixed media) on a piece of scrap card and use it to make an embellishment for your project. Include a number or numbers in some way. For Instagram tag @craftytemplates and mention it's for the Pick and Mix challenge. For Facebook add it to the Quirky Kits Group - they'll be a post for each new challenge there to share it to or else mention it's for the Pick and Mix challenge when you share it. 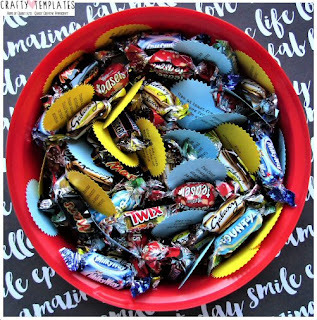 For blog add a link to your project from your blog in the comments below any of the Pick and Mix challenge posts. For the Pick and Mix challenges I'm going to leave open ended what your finished project is so you can create a scrapbook page or a mini book or a pocket page or a card or a travellers notebook page etc etc. I'll leave it up to you what you choose to do. I've also left out any prompts relating to the photo/s so if you have specific photos you want to get scrapped these prompts aren't going to stop you using the photos you want, just push you with a helping hand on the things to pick out, make and do. Look out for a bonus round next week!